Once the Government’s national switch initiative is rolled out, a farmer with a bank account in remote areas will be able to deposit his or her earnings, in generic automated teller machines (ATM). And, as part of the national switch, Government also hopes to provide its pensioners and social welfare recipients with cards similar to bank ATM cards which they could use to withdraw money and also use at point of sale (Eftpos) machines while shopping at major supermarkets and shopping centres. 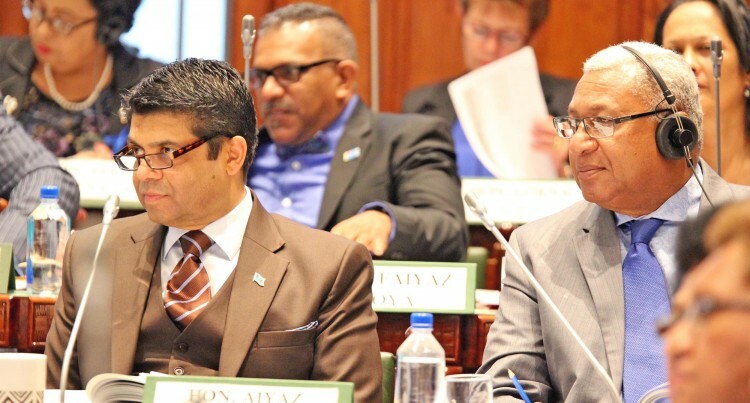 Attorney-General and Minister for Economy Aiyaz Sayed-Khaiyum informed Parliament while explaining the allocation of $60,000 for the implementation of the initiative in the 2017-2018 National Budget. Currently to use an ANZ ATM card in a Westpac ATM, for example, costs customers $1.50 for a transaction. He said after the national switch initiative, this cost would also be expected to be lowered. Mr Sayed-Khaiyum told Parliament that they were in the process of talking with banks around the country and hoped to roll it out soon. He said in the past certain banks around the country especially the major ones didn’t allow other small banks like Bank of Baroda to use their services but that was now a thing of the past. For BRED Bank and HFC Bank users, he added, were only limited to their bank ATMs. “We have to create a centralised switching facility whereby all the banks will have to connect,” he said.